May 22, 1990 The Windows 3.0 operating system is released by Microsoft. On May 22, 1990, Microsoft announces Windows 3.0, followed shortly by Windows 3.1 in 1992. Taken together, they sell 10 million copies in their first 2 years, making this the most widely used Windows operating system yet. The scale of this success causesMicrosoft to revise earlier plans. Virtual Memory improves visual graphics. In 1990 Windows starts to look like the versions to come. The Avivim school bus massacre was a terrorist attack on an Israeli school bus on May 22, 1970 in which 12 Israeli civilians were killed, nine of them children, and 25 were wounded. The attack took place on the road to Moshav Avivim, near Israel's border withLebanon. Two bazooka shells were fired at the bus. The attack was one of the first carried out by the PFLP-GC. Early in the morning, the bus departed from Avivim heading with its passengers to two local schools. This route had been scouted by the militants, believed to have infiltrated from Lebanon, and an ambush was set up. As the bus passed by, ten minutes after leaving Avivim, it was attacked by heavy gunfire from both sides of the road. The driver was amongst those hit in the initial barrage,as were the two other adults on board. The three were killed as the bus crashed into an embankment as the attackers continued firing into the vehicle. budak2 gak mangsa.. so sad..
jom belajar sejarah negara kita.. .
Pada 23 Mei 1997, dua wira Malaysia iaitu M. Magendren dan N. Mohandas telah berjaya menakluki Gunung Everest yang setinggi 8,848 meter, gunung yang tertinggi di dunia. M. Magendran merupakan rakyat Malaysia pertama yang berjaya menakluki Gunung Everest yang terletak di Himalaya, dan di ikuti 15 minit kemudiannya oleh Mohanadas Nagappan. Mereka berdualah yang bertanggungjawab untuk memastikan Jalur Gemilang berkibar megah di puncak gunung Everest itu. Usaha mereka untuk menakluki gunung tersebut telah mendapat liputan harian secara langsung selama 55 hari dengan kegigihan sembilan anggota Projek Everest 97' dari RTM. 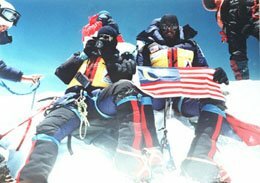 On the 23th May 1997, two Malaysians, M.MAGENDREN and N.MOHANDAS made Malaysia proud by conquering the world highest peak which is 8848 meters above sea level. They were the FIRST MALAYSIAN TO CONQUER MOUNT EVEREST. It took 42 years since Everest was first conquered by man... 15 years of experience of mount climbing and vigorous training programmes before they are fit to conquer mount Everest. Many mountaineers had died trying to reach this highest peak in the world. over 150 people had died. the odds are 1 to 6 who died climbing this mountain. Yet these statistics did not stop our heroes. On May 22, 11pm our heroes left camp 4 for their final destination. It took them 13hours to reach the summit.It was -30°C out there with 80km/h cold wind blowing on them. They had to go through steep terrains and the path is littered with dead bodies. At one point our heroes needed to crawl to the peak due to extreme strong wind. Reaching at the top they proudly planted our Jalur Gemilang and shouted into the wind. Thank God! Thank God!' was the first thing gushed out from M.Magedren mouth. The sacred mantra Aum Namah Shivaya was in his mind too. Both of them prayed when they reach the summit and celebrated their victory. 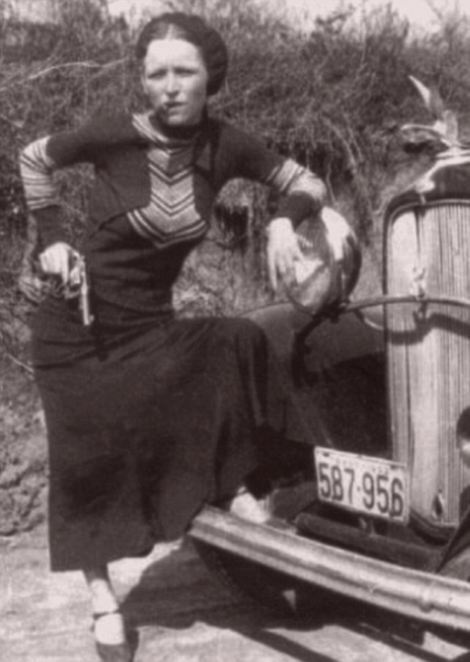 23rd May 1934 : Bank robbers Bonnie Parker and Clyde Barrow were ambushed and gunned down with over 100 rounds of ammunition by police in Black Lake, Louisiana. 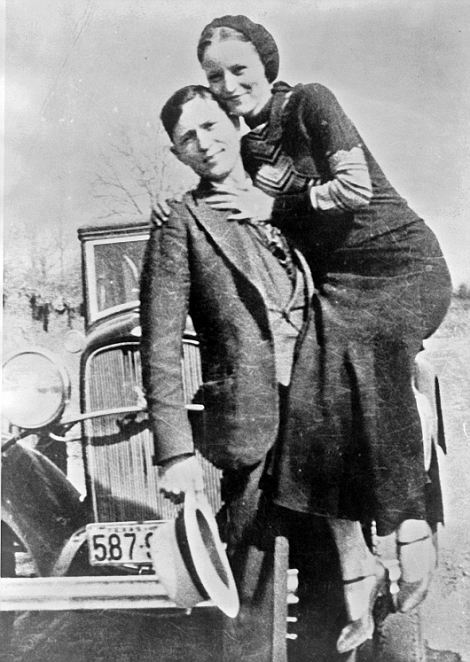 Following the deaths of Bonnie and Clyde slain in Louisiana by federal agents, their bodies are being transported back to Texas and are to be buried in separate graves in different parts of Dallas. 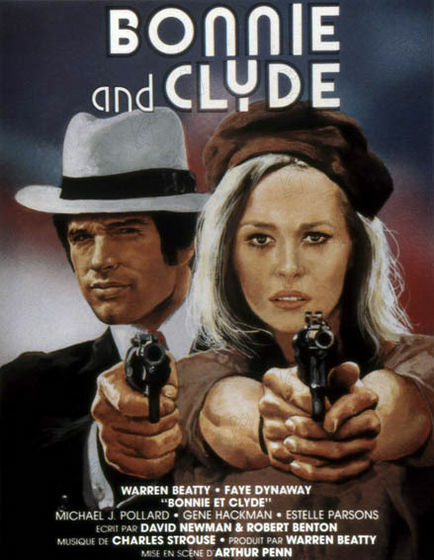 They were inseparable in life committing robberies and murders side by side across the nation but in death Bonnies mother has stated Clyde took her daughter away from her but she will take her daughter back in death against bonnies last wishes. 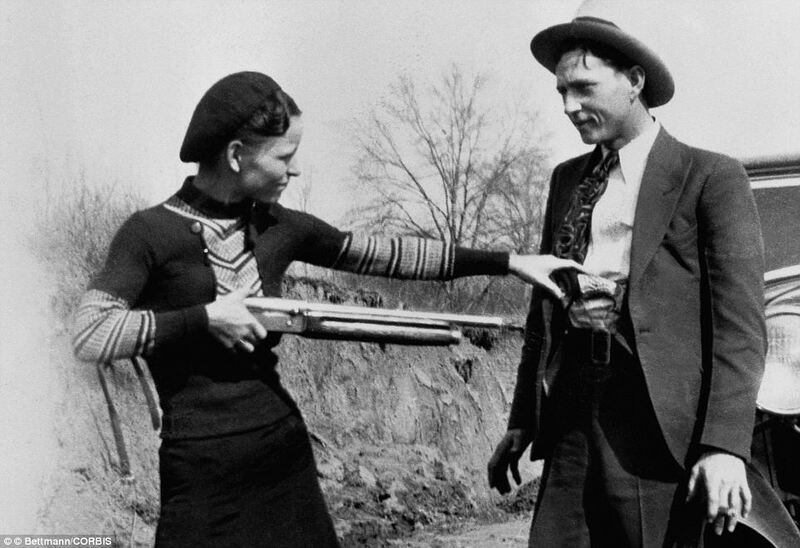 Bonnie Parker and Clyde Barrow were notorious during the great depression years as outlaws, they were featured in newspapers through out the country because of their escapades robbing banks , small stores and gas stations. They became notorious not because they robbed and killed so many but because of the authorities inability to catch them. Many thought them as heroes because of their status as a modern day "Robin Hood" but reality is they killed ordinary people and did not "Give To The Poor". 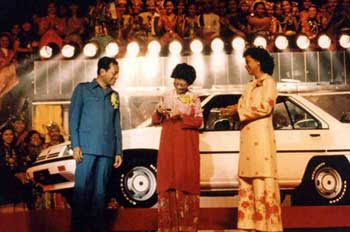 Pada hari ini dalam tahun 1983 Perusahan Automobil Nasional Bhd. (Proton) lahir secara rasmi melalui persetujuan yang ditandatangani antara perbadanan Industri Berat Malaysia (Hicom) dan kumpulan Mitsubishi dari Jepun di Kuala Lumpur. Dalam upacara menandatangani persetujuan ini, Hicom diwakili oleh Tan Sri Datuk Jamil Rais Mohd Jan, Pengerusi Mitsubishi Motors Corporation (MMC), Dr. Tomio Kubo mewakili syarikatnya dan Pengarah Urusan Mitsubishi Corporation (MC) Yoshio Morita menandatangani bagi pihak MC. 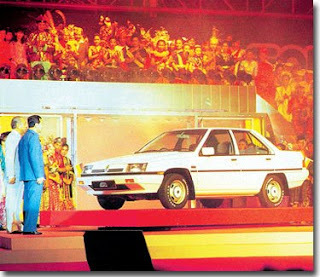 Melalui persetujuan ini Proton dipertangungjawab mengendalikan pengeluaran kereta-kereta buatan Malaysia yang pertama mulai tahun 1985 di kilangnya yang sedang dalam pembinaan di Shah Alam. Antara persetujuan dan kontrak lain yang dipersetujui oleh Hicom, MMC dan MC ialah persetujuan usahasama, persetujuan bantuan teknikal, persetujuan pinjaman pemegang saham, kontrak pembinaan dan bahan dan kontrak bekalan alat-alat kereta. Juga dipersetujui ialah pihak Hicom akan memegang saham proton sebanyak 70%, MMC 15% dan MC 15%. 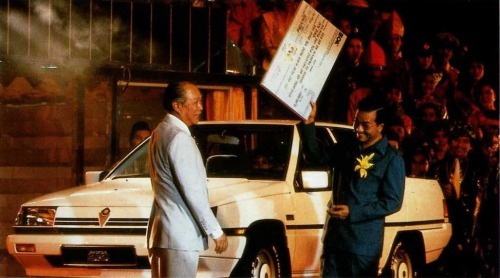 Jelasnya, persetujuan yang dicapai pada hari ini dalam tahun 1983 yang melahirkan Proton telah mencatat sejarah dalam usaha merealisasikan cita-cita Kerajaan Malaysia untuk mengeluarkan kereta buatan tempatan. Pada hari ini dalam tahun 1954, Perwakilan Perikatan UMNO-MCA ke Rundingan Pilihanraya 1955 di London yang diketuai oleh Tunku Abdul Rahman Putra telah selamat pulang ke tanahair. Keputusan untuk menghantar anggota perwakilan ini telah dicapai dalam satu Mesyuarat Agong Tergempar UMNO yang telah diadakan di Melaka pada 18 April 1954 yang telah turut dihadiri oleh pemimpin tertinggi MCA sebagai pemerhati. Antara yang turut serta dalam perwakilan yang berlepas pada 21 April 1954 ini, ialah Dato’ Abdul Razak Hussein dan Encik T.H Tan selaku Setiausaha Perwakilan. Pertemuan serta rundingan hanya dapat diadakan pada 14 Mei 1954 dengan Setiausaha Tanah Jajahan British, mengenai Penyata Pilihanraya Persekutuan yang tidak menepati kehendak rakyat yang diwakili oleh Perikatan UMNO-MCA. 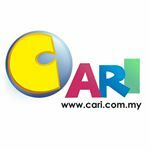 Perikatan menuntut agar 60 orang ahli daripada 100 orang ahli Dewan dipilih melalui pilihanraya dan juga berkenaan dengan kelayakan pengundi-pengundi. Berikutan daripada itu pada 19 April 1954 Setiausaha Tanah Jajahan telah menerima lima tuntutan pihak perwakilan kecuali satu iatu tiga perlima daripada ahli Mesyuarat Undangan Persekutuan hendaklah dipilih oleh rakyat melalui Pilihanraya Umum. Sesungguhnya usaha-usaha ini telah membuka laluan kepada kemerdekaan negara pada 31 Ogos 1957. 1430 - Joan of Arc was captured by Burgundians. She was then sold to the English. Domrémy, Duchy of Bar, Kingdom of France. 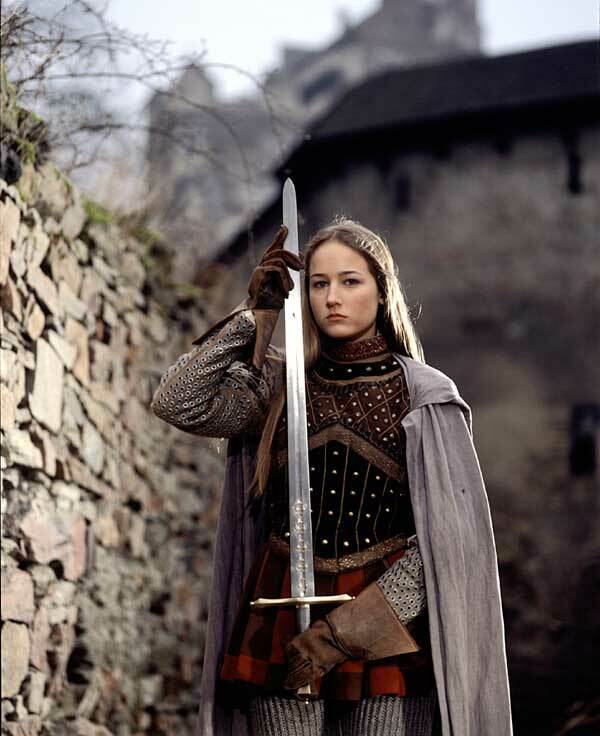 Joan of Arc, in French, Jeanne d'Arc, also called the Maid of Orleans, a patron saint of France and a national heroine, led the resistance to the English invasion of France in the Hundred Years War. She was born the third of five children to a farmer, Jacques d'Arc and his wife Isabelle in the town of Domremy on the border of provinces of Champagne and Lorraine. Her childhood was spent attending her father's herds in the fields and learning religion and housekeeping skills from her mother. Both parents were intensely pious. When Joan was about 12 years old, she began to hear "voices" of St. Michael, St. Catherine, and St. Margaret, believing them to have been sent by God. These voices told her that it was her divine mission to free her country from the English and help the dauphin gain the French throne. They told her to cut her hair, dress in man's uniform and to pick up the arms. By 1429, the English, with the help of their Burgundian allies, occupied Paris and all of France north of the Loire. The resistance was minimal due to lack of leadership and a sense of hopelessness. Henry V of England was claiming the French throne. Joan convinced the captain of the dauphin's forces, and then the dauphin himself of her calling. After passing an examination by a board of theologians, she was given troops to command and the rank of captain. At the battle of Orleans Joan led the troops to a miraculous victory over the English. She continued fighting the enemy in other locations along the Loire. Later, Joan persuaded the dauphin that he should be crowned Charles VII. At the coronation she was given a place of honor next to the king. In 1430 she was captured by the Burgundians while defending Compiegne near Paris and was sold to the English. The English, in turn, handed her over to the ecclesiastical court at Rouen to be tried for witchcraft, heresy and for wearing male clothing, which was considered an offense against the church. Joan was convicted and on May 30, 1431 she was burned at the stake in the Rouen marketplace. Charles VII made no attempt to come to her rescue. In 1456 a second trial was held and she was pronounced innocent of the charges against her. She was beatified in 1909 and canonized in 1920. 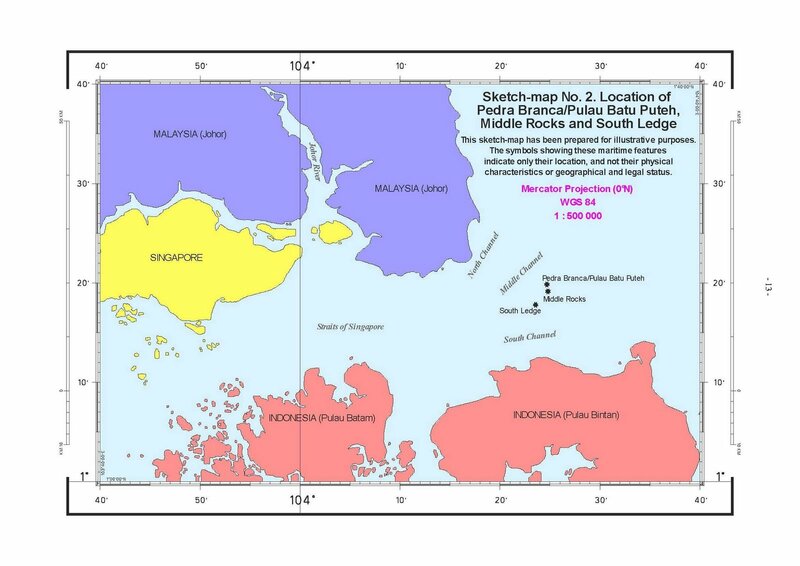 In a historic moment marking a milestone in Malaysia-Singapore relations, the International Court of Justice (ICJ) has made its ruling on the dispute over the sovereignty and ownership of an island and its two rocky outcrops in the eastern entrance to the Straits of Singapore, off the South China Seas. South Ledge - an outcrop of rocks further to the south, visible only during low tide. 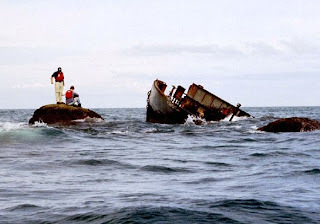 South Ledge - 15 votes vs 1, for finding "that sovereignty over South Ledge belongs to the State in the territorial waters of which it is located.". Both the Singapore and Malaysia governments had previously affirmed their mutual understanding that they will accept the ICJ's ruling and work to facilitate the operational management of the island which lies in a high-traffic sea-way for international maritime transport. The Horsburgh Lighthouse (named after Captain James Horsburgh, a hydrographer with the East India Company in the 19th Century) was erected on the island by the British in 1851 and is currently managed by Singapore. The official Brooklyn Bridge Centennial Celebration 1883-1983 brochure, produced by the 1983 Brooklyn Bridge Centennial Commission. It lists dozens of exhibitions, lectures, and performances that ran from May to October, 1983. The cover image was created by Andy Warhol for the Commission. The Brooklyn Public Library got into the festive spirit by redesigning its seasonal bulletin to be reminiscent of the Brooklyn Daily Eagle. Commemorative T-Shirt (Brooklyn Bridge, 100th Birthday), 1983. Jersey fabric. Brooklyn Museum Archives, Exhibitions: The Great East River Bridge, 1883–1983. 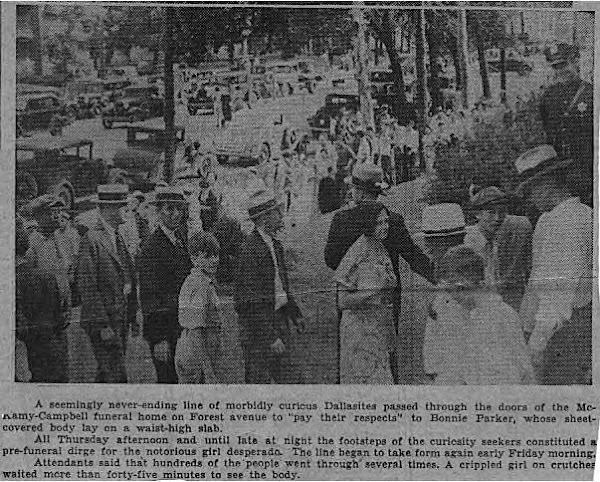 We see the some of the 100th anniversary celebration for it on May 24, 1983. Thousands walking the FDR drive, a parade of boats and fireworks! Someone with a bullhorn gives a speech. dia juga femes dgn pelbagai experiment keji & kejam. An ardent Nazi, In 1943 Josef Mengele was appointed by Heinrich Himmler to be chief doctor at Birkenau, the supplementary extermination camp at Auschwitz, where he and his staff selected incoming Jews for labor or extermMengele used Auschwitz as an opportunity to continue his research on heredity, using inmates for human experimentation. He was particularly interested in identical twins; they would be selected and placed in special barracks. He recruited Berthold Epstein, a Jewish pediatrician, and Miklós Nyiszli, a Hungarian Jewish pathologist, to assist with his experiments. 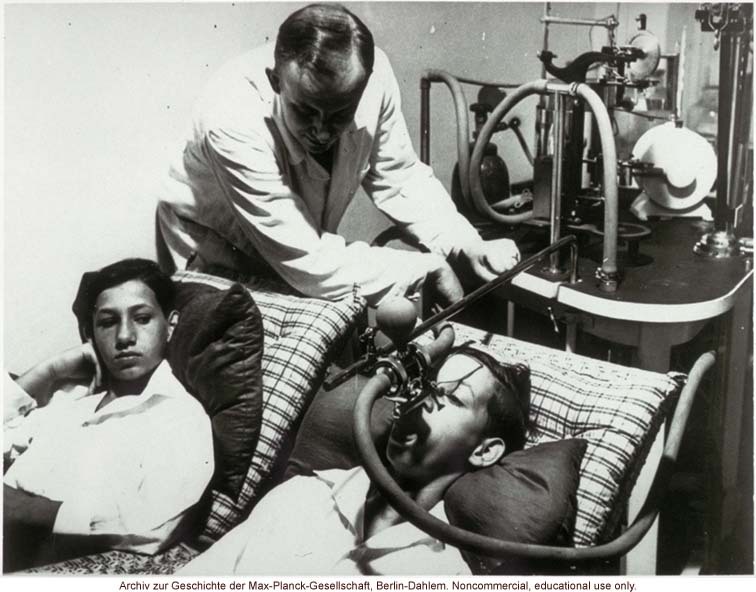 As a forced-labor prisoner under Mengele's direction, Epstein proposed a study into treatments of the disease called noma that was noted for particularly affecting children from the camp. While the exact cause of noma remains uncertain, it is now known that it has a higher occurrence in children suffering from malnutrition and a lower immune system response. Many develop the disease shortly after contracting another illness such as measles or tuberculosis. Mengele took an interest in physical abnormalities discovered among the arrivals at the concentration camp. These included dwarfs, notably the Ovitz family – the children of a Romanian artist, seven of whom were dwarfs. Prior to their deportation, they toured in Eastern Europe as the Lilliput Troupe. Mengele's experiments also included attempts to change eye colour by injecting chemicals into children's eyes, various amputations of limbs, and other surgeries such as kidney removal, without anaesthesia. Rena Gelissen's account of her time in Auschwitz details certain experiments performed on female prisoners around October 1943. Mengele would experiment on the chosen girls, performing sterilization and shock treatments. 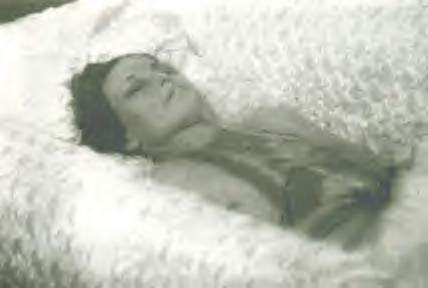 Most of the victims died, because of either the experiments or later infections. 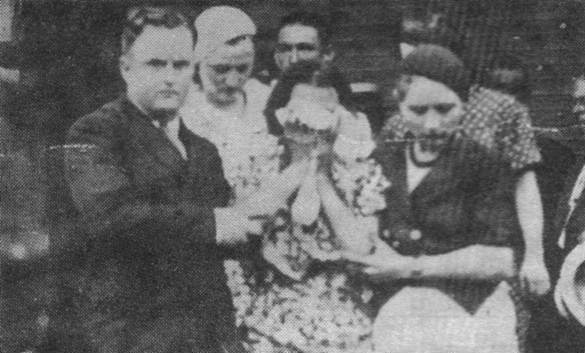 Once Mengele's assistant rounded up fourteen pairs of Roma twins during the night. Mengele placed them on his polished marble dissection table and put them to sleep. He then injected chloroform into their hearts, killing them instantly. Mengele then began dissecting and meticulously noting each piece of the twins' bodies. At Auschwitz, Mengele did a number of studies on twins. After an experiment was over, the twins were usually killed and their bodies dissected. He supervised an operation by which two Roma children were sewn together to create conjoined twins; the hands of the children became badly infected where the veins had been resected; this also caused gangrene. Jewish twins kept alive to be used in Mengele's medical experiments. These children from Auschwitz were liberated by the Red Army in January 1945. The subjects of Mengele's research were better fed and housed than ordinary prisoners and were, for the time being, safe from the gas chambers, although many experiments resulted in more painful deaths. 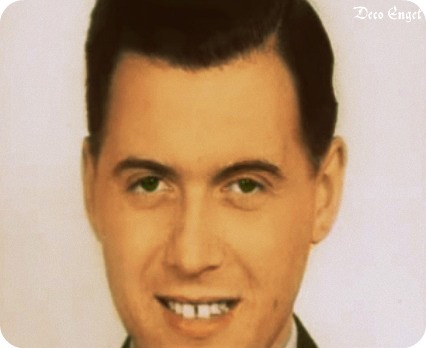 When visiting his child subjects, he introduced himself as "Uncle Mengele" and offered them sweets. Some survivors remember that despite his grim acts, he was also called "Mengele the Protector". 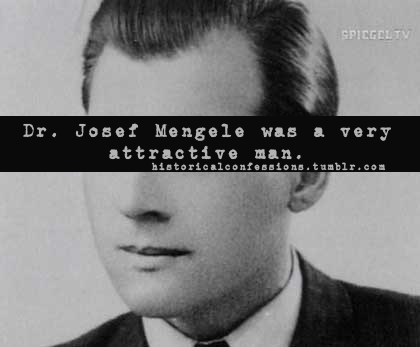 Mengele also sought out pregnant women, on whom he would perform vivisections before sending them to the gas chambers. I have never accepted the fact that Mengele himself believed he was doing serious work – not from the slipshod way he went about it. He was only exercising his power. Mengele ran a butcher shop – major surgeries were performed without anaesthesia. Once, I witnessed a stomach operation – Mengele was removing pieces from the stomach, but without any anaesthetic. Another time, it was a heart that was removed, again without anaesthesia. It was horrifying. 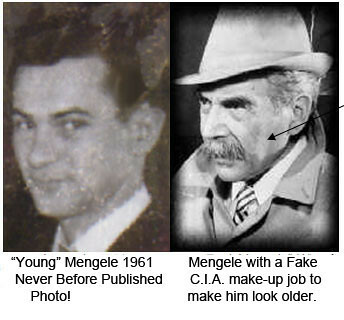 Mengele was a doctor who became mad because of the power he was given. Nobody ever questioned him – why did this one die? Why did that one perish? The patients did not count. He professed to do what he did in the name of science, but it was a madness on his part. He was capable of being so kind to the children, to have them become fond of him, to bring them sugar, to think of small details in their daily lives, and to do things we would genuinely admire.... And then, next to that,... the crematoria smoke, and these children, tomorrow or in a half-hour, he is going to send them there. Well, that is where the anomaly lay. The book Children of the Flames, by Lucette Matalon Lagnado and Sheila Cohn Dekel, chronicles Mengele's medical experimental activities on approximately 1,500 pairs of twins who passed through the Auschwitz death camp during World War II until its liberation at the end of the war. By the 1980s only 100 sets of these twins could be located. Many recalled his friendly manner towards them, and his gifts of chocolates. The older ones "recognized his kindness as a deception—yet another of his perverse experiments to test (our) mental endurance." He would also kill them without hesitation, sometimes administering injections to the children or shooting them himself, and would dissect them immediately afterwards. On one evening alone he killed fourteen twins. In 1960, Hans Sedlmeier returned from Asuncion, Paraguay, with a statement from Mengele that said, "I personally have not killed, injured or caused bodily harm to anyone." 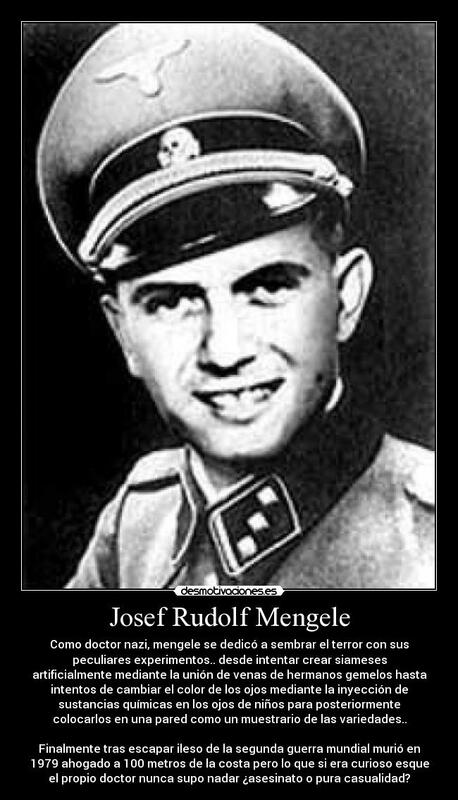 Mengele repeatedly insisted that he had not committed any crime, and that instead he had become a victim of a great injustice. 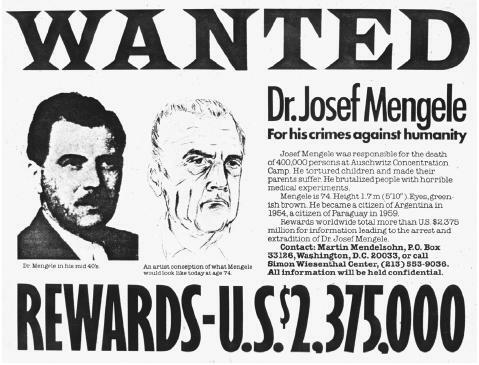 In the 1985 documentary The Search For Mengele Wolfram Bossert, who befriended Mengele in Brazil, claimed that Mengele said, "I didn't make any experiments, it's all lies. The people volunteered because they got more food if they allowed me to take blood samples." He also claimed that Mengele assured him that he "deserves a statue from the Jews because as a doctor in the camp he saved many Jewish lives. "nation and where he supervised medical experiments on inmates to discover means of increasing fertility (to increase the German “race”).